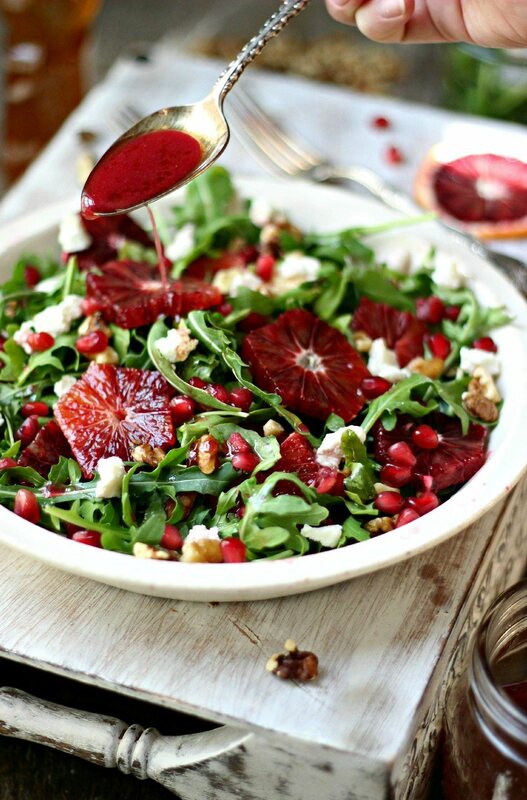 Layer arugula, blood oranges, goat cheese, walnuts and pomegranate arils on a platter or in a bowl. In a small mixing bowl, whisk together pomegranate juice, lemon juice, Dijon and honey. Slowly whisk in olive oil. Season with salt and pepper. Drizzle dressing on salad and toss to combine. Enjoy!